Rice Thai | Oh No! Not Another NYC Food Blog! 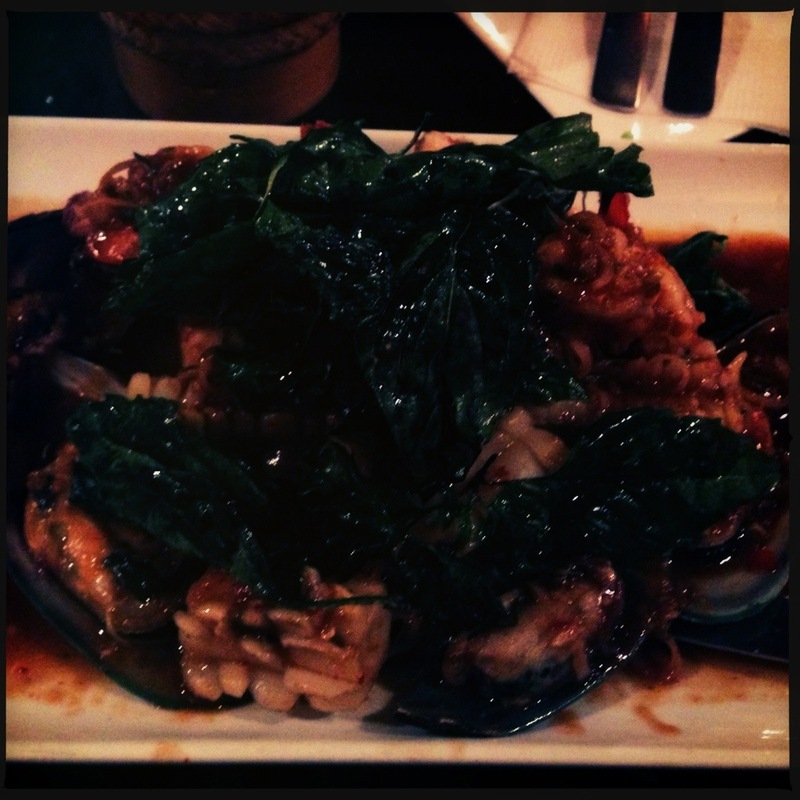 I had the Dry Tom Yum – As advertised, it was just like the soup but dry – chock full of seafood (shrimp, squid, mussels, fish) and topped with fried basil. Taste bomb. Sticky rice was good, but not as good as Pok Pok. Light on veg, but tasty. 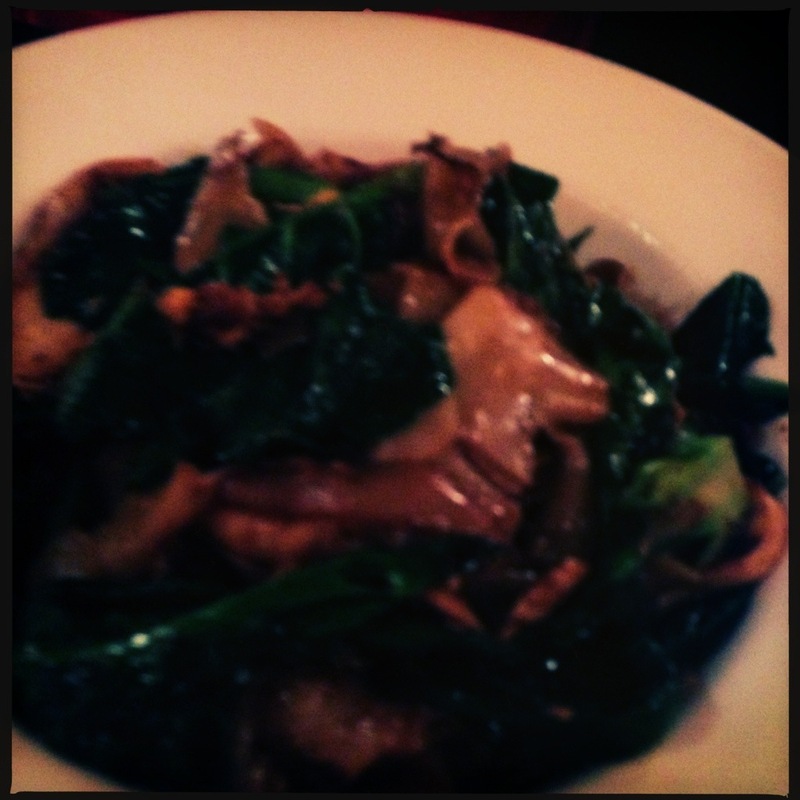 My DH had the Pad see Ew with chicken – DH complained that it didn’t have much taste, but that dish is never a flavor wallop without vinegar sauce. 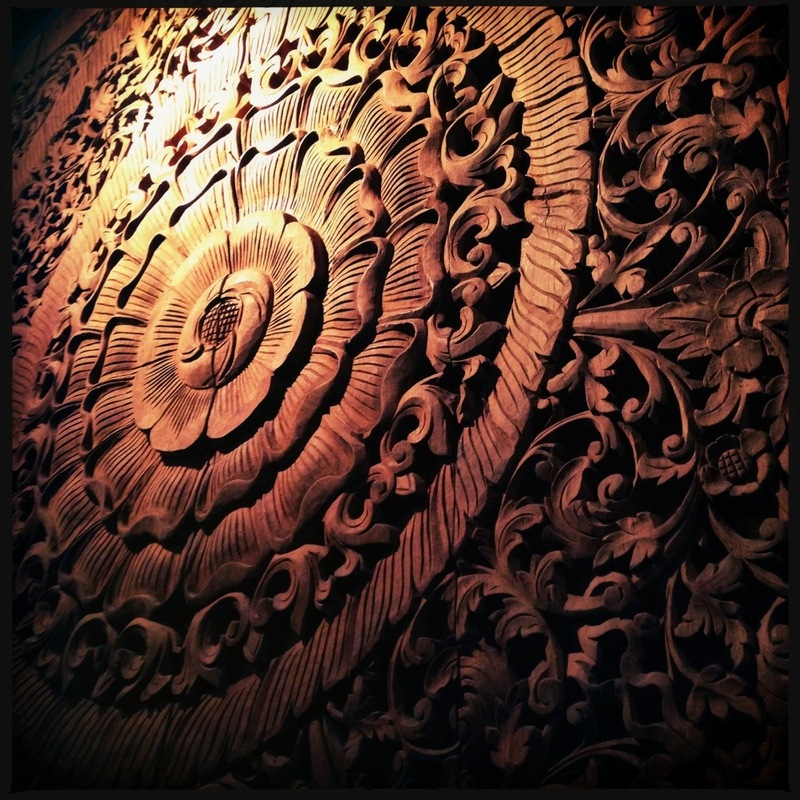 Really pretty wood panels on the walls, nice decor all around. Vaguely French instrumental music, with crooner contemporary songs and classics. Fine. Being the old people hour diners we are, we had the place to ourselves for most of the meal. Not a bad little place. Not the ‘be all end all’, but lots of things on the menu I’m dying to try. 3.75 out of 5 for a varied menu and solid dishes in a pleasant atmosphere.